5" Wire Wrapped Glass Pipe - Black -The Greatest Online Smoke Shop! This pipe is double wrapped with a black tubing for a very unique piece. 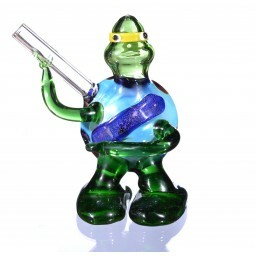 The head is black with a clear body, to create a very impressive pipe. The pipe is very, very heavy. 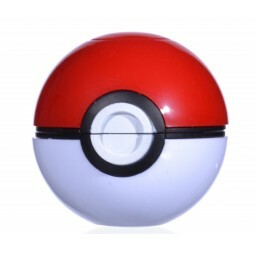 It is made of high quality borosilicate glass and triple blown means it is very thick. Glass is very shiny. The wires are very nice and thick, allowing you get a nice grip whilst smoking. 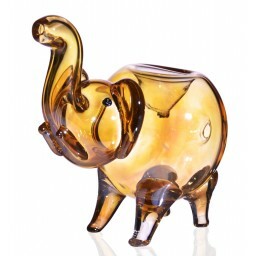 The pipe is hand made in the USA with love by local artists! As each item is hand made, no 2 pieces will be a like. Colors may vary slightly from photos, making yours a one of a kind item! See pics for examples. This pipe is double wrapped with a black tubing for a very unique piece. 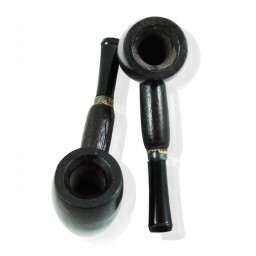 The head is black with a clear body, to create a very impressive pipe. The pipe is very, very heavy. 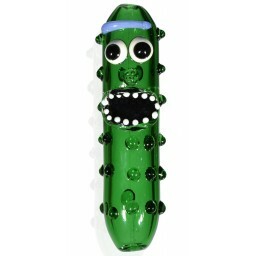 It is made of high quality borosilicate glass and triple blown means it is very thick. Glass is very shiny. The wires are very nice and thick, allowing you get a nice grip whilst smoking.